On Monday night I managed to catch up on one of the many films that I have unfortunately missed at the cinema this year. This time it was the twisted tale of the hunt for a child murderer during the Stalin-era Soviet Union, a time where the public (but more realistically, the security) did not believe in the concept of murder within the Soviet Union, unless it was a result of a manipulation (brainwashing) tactic from Nazi Germany. 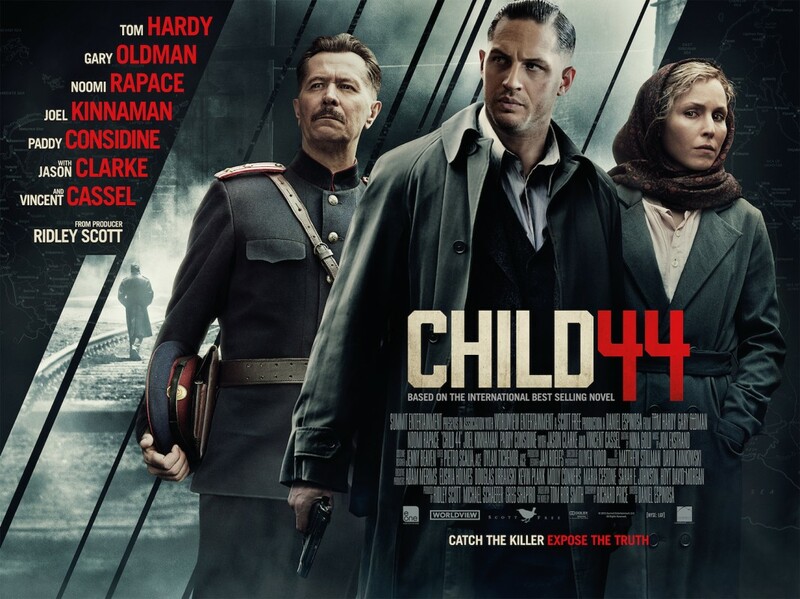 Based on an international best seller, CHILD 44 tells the story of security oficer Leo Demidov (Tom Hardy) allowing his suspicions to take over and begin to believe in the unforgivable crime of murder. He investigates the sickening deaths of 44 children and loses faith in the way in which the Soviet operates. However, his mistrust becomes apparent to his senior offices who decide to banish him and his suspicious wife Raisa (Noomi Rapace) from Munich. 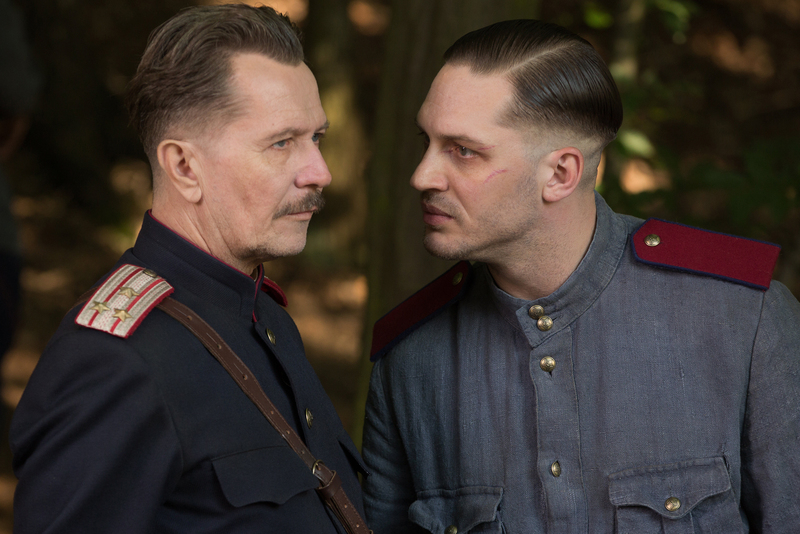 Determined to prove what he feels his seniors are covering up, Leo finds an ally in Gary Oldman’s character General Mikhail Nesterov, who at first doubts the demoted officer. From here onwards, the film picks up its pace and the viewer is exposed to intense fight scenes and disturbing moments, which help make it a dark and twisted experience. As expected Tom Hardy is the stand-out performance in this film, with Gary Oldman unfortunately taking a back seat to his brilliance for a change. Noomi Rapace puts in a decent performance, but fails to excite or engage the viewer like she did in the likes of THE GIRL WITH THE DRAGON TATTOO for instance. I can’t help but think that Raisa’s role could have been cast better here. The film is very intense, and far from an easy watch! Personally, it does not need to be a plus two hour long feature film as it does not involve enough credible plot build. 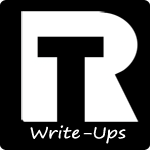 Some scenes appear unnecessary and the beginning in particular does seem to drag. However, from about 45 minutes onwards, it is a very involved and frightening watch which takes its rating back up around the 7s mark. As always, a Tom Hardy film is a tough thing to not enjoy! Recommendation: A good war-based film but not a great one! It is entertaining and has a top cast. Personally it is worth a buy, but it is not the most re-watchable of films.